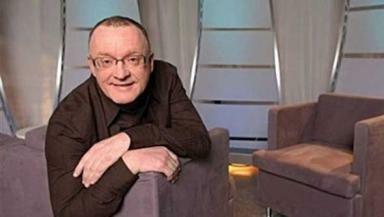 Stuart Cosgrove is a Channel 4 executive and co-presents the Off The Ball radio programme. A leading Scottish media executive has been denied entry to Sri Lanka after the country’s government expressed displeasure over a television documentary. Stuart Cosgrove, 59, is a senior executive at Channel 4, which has broadcast investigations into the Sri Lankan government’s human rights record. The country’s armed forces had been locked in conflict with the Liberation Tigers of Tamil Eelam militant group since the early 1980s but defeated the LTTE in an offensive in 2008 and 2009. In June 2011, Channel 4 News broadcast a documentary entitled Sri Lanka’s Killing Fields contained allegations that the military had intentionally targeted civilians, a contravention of the Fourth Geneva Convention. Mr Cosgrove, who also co-hosts the radio phone-in programme Off The Ball with Tam Cowan on BBC Radio Scotland, was visiting the country with his Sri Lankan-born wife Shirani Sabaratnam when he was denied entry. Channel 4 confirmed Mr Cosgrove had been denied entry to Sri Lanka on Wednesday but insisted that the Glasgow-based executive had no role in the production of Sri Lanka’s Killing Fields. A spokeswoman for Channel 4 said: “Stuart Cosgrove’s passport and visa were both valid but his passport was rejected on a technicality on arrival in Sri Lanka – as the middle name on his new passport did not match the one on his visa. An unnamed official in charge of immigration told the BBC that the incident "was not a deportation" and that Mr Cosgrove, who is Director of Creative Diversity at the broadcaster, had merely been "instructed to leave". The official told the BBC the reason for the denied entry was "because they are from Channel 4, which without reason has harmed Sri Lanka's reputation".